The SC- LFC07HD is a multi-functional CCTV Service Monitor and Test Pattern Generator with a variety of video formats, including HD-SDI. 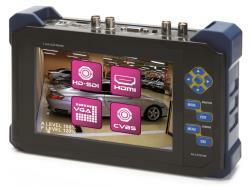 About the high resolution 7 ” monitor -LCD/LED analog (Composite), VGA, HDMI and HD -SDI signals are displayed and measured. For the installation and testing of PTZ Domes, there is a RS -485 control interface with many protocols. An analog test pattern generator with various test images is integrated, an HD -SDI test pattern generator can be retrofitted. The device is designed with battery and bag for maximum mobility. In battery mode, the 12V input can also be used as output (12 V voltage source). A variety of additional useful features makes the device a very useful helper. The SC- LFC07HD simplifies installation, saves time and associated labor costs. 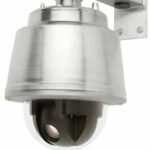 It is a worthwhile investment for anyone who installs video surveillance systems. The display can also be used as a useful accessory in a video workshop. The SC- LFC07HD product portal is now available in VTIS Shop. Do you have questions about this product? We will advise you today! by admin	30. January 2014 0 Com.